Posted on December 27, 2012 by ethiopianorphanrelief under Donate Now! My friend Livvy drew this picture at the start of the school year, and I promptly borrowed it when her mama showed it off on Facebook. 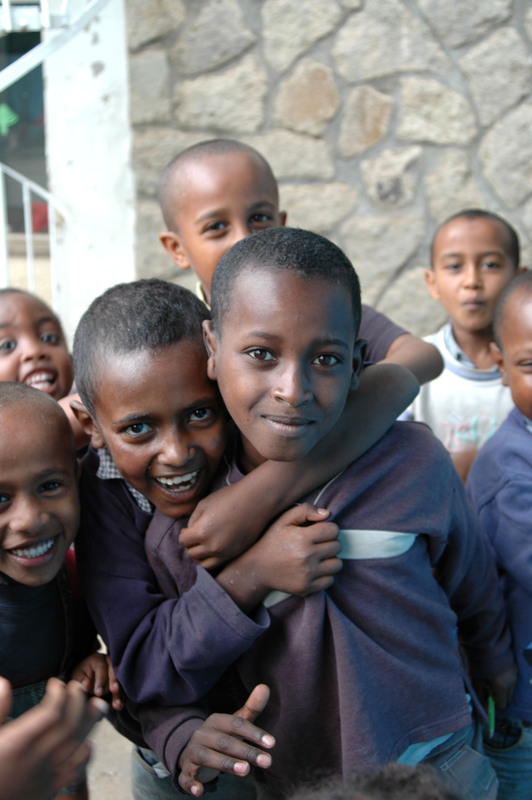 It’s not too late to help kids in Ethiopia before year’s end. Donate livestock, clean water or even to our general fund. YOU have made this EOR‘s most successful year yet. We dream big because you make it possible! The UN theme for International Women’s Day 2012 is Empower Women–End Hunger and Poverty. Many women around the world still cannot get access to secondary education. 1 in 7 girls in some developing countries is forced to marry before the age of 15. Women want access to reproductive healthcare but cannot get access to it. Women around the globe will lose a child every 20 seconds from a disease that could have been prevented if they had access to lifesaving vaccines. Many women, in what should be one of the happiest moments of their lives, go into childbirth not knowing if they will come out alive because they do not have access to proper maternal healthcare. For many women, cooking the daily meal can be deadly beacuse they do not have access to clean cookstoves, and unsafe cooking methods put their homes and their health in jeopardy every day. Many of these services are provided by YOU, the supporters of Ethiopian Orphan Relief. 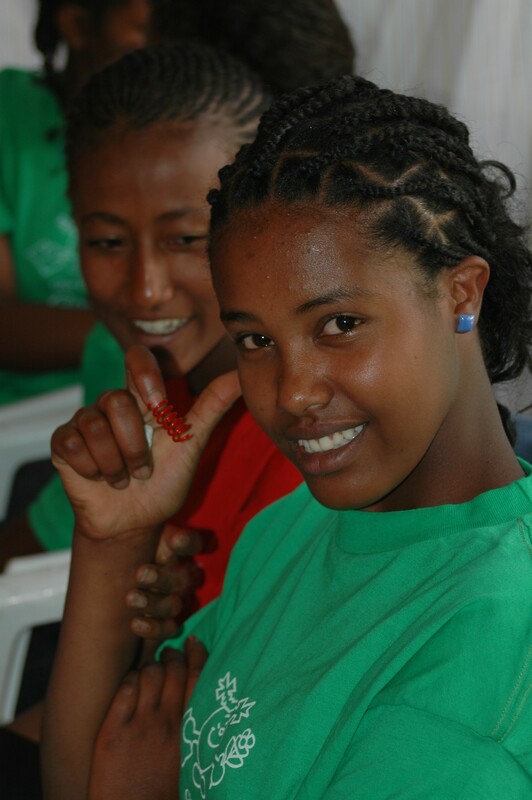 Your donations advance the cause of Ethiopian women. Be proud of the work that you do. You make it possible to end hunger and poverty for women (and their families) in 2012. Let’s help Hanna Fanta (founder of Children’s Heaven) feed those lovely girls in honor of International Women’s Day. A $5 dollar donation feeds 9 girls a daily meal. Consider making your donation today. As a bonus, I’ll make an additional donation for each comment left, and each donation made to celebrate International Women’s Day. It’s been a wonderful holiday. As an American mama, living an American life, I enjoy a season filled with “too many.” Too many presents, too many late bedtimes, too many sweet treats, too many holiday activities to squeeze into an already too full schedule. I really am lucky that way. I returned from Ethiopia just one short month ago, and I saw, more often than I cared to, people who lived with too little…too little food, too little education, too little water, none of it clean. Short of bringing you all to Ethiopia with me, there’s little I can do to share the enormity of need with all of you. All I can do, is ask you to join me in funding Ethiopian Orphan relief’s year-end campaign. All of us have so much in our lives. I am asking you to share some of your “too much” with those who have too little. 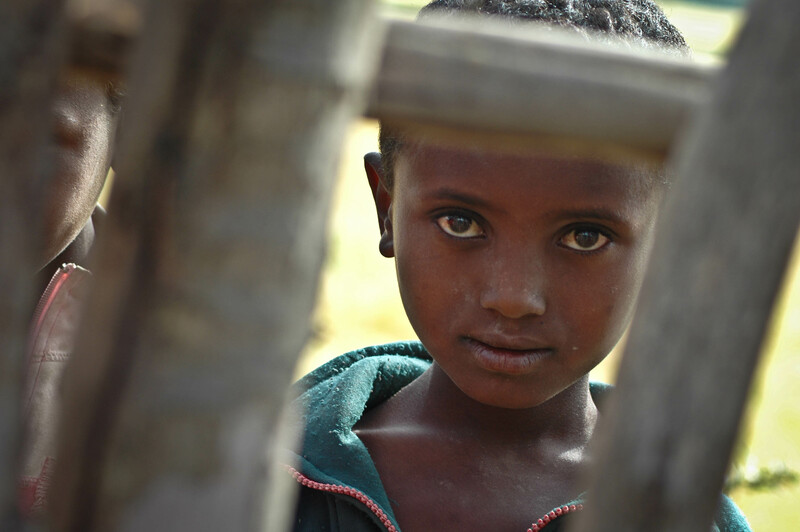 By giving to Ethiopian Orphan Relief, you help more people more quickly. With an all-volunteer board, EOR guarantees that a greater percentage of your funds will actually meet needs in Ethiopia. Please join me in giving before December, 31, 2011. I will match the first $500 in donations between now and then. I have so much to share. I imagine you do too. I imagine a lot of you are like me. You’ve been to Ethiopia, and at the end of your trip, returned home with a bit of birr–some to give as souvenirs, some to tuck away as a memento, and I’m hoping, some leftover after exchanging it on the last day or so of your visit. If you do have some spare birr hanging around, will you consider donating it to EOR’s immediate need fund? While we can make plans to fund projects before we go to Ethiopia in November, we can’t anticipate every need. A slush fund of sorts allows us to buy baby formula or shoes or toys or firewood or bananas when we see a need. We will take a small discretionary fund, and the 8 travelers will contribute too, but sending us the birr (even small amounts) leftover from your previous trips is an excellent way to make a significant contribution. As always, we will be sure to share the amount we raise, (and the good it does) with all of YOU! Did my Monday check-in at Dave’s blog: Losing for Dollars and was so excited to read that 1- his weight loss continues and 2-his company knows of his goal and he expects additional pledges from some of the people he works with. So exciting to see his progress and his support! I’m not the only Chapman-Layland concerned about finishing the building project at FOVC-Ethiopia. Today, my awesome 12 year old hosted a lemonade/fresh brownie/duct tape wallet stand during our friends’ adoption fundraiser yard sale. That’s right, a duct tape wallet stand, because who doesn’t need a duct tape wallet? 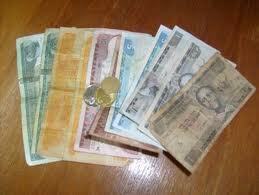 Elliott has been concerned about raising the last funds to finish the FOVC-Ethiopia building project too. His own allowance is a pittance (and he owes it all to me for the next several centuries, but that’s a story for another day) so he found a way to earn some cash to contribute. By the end of the day, he had raised almost $20 for the children of FOVC-Ethiopia… pretty good for someone who’s in debt to his eyeballs. If, like Elliott, you find yourself short on funds, you too can find unique ways to contribute without tapping your own coffers. Host your own lemonade stand, collect your spare change, or even sell something on ebay or craigslist. There are so many ways to make a difference. Choose one, and if you are the first to make a contribution, Elliott will make you a gorgeous duct tape wallet too (really, he’s promised to customize one for you, and I’ll ship it out–pronto)! We’re just 2600.00 away from finishing the building project at FOVC-Ethiopia. Every contribution–loose change, or lemonade stand proceeds, helps complete this amazing project. Run, don’t walk with your contribution–it’s win-win. A new building for the FOVC-Ethiopia kids, and a new wallet for you… sweet! It seems as though the Midwest — and perhaps much of the country — has been hit with some pretty heavy rains as of late. It’s been the topic of “small talk” around here lately (doesn’t most small talk seem to involve weather? Or is it just me?). Yes, I’ve found myself in conversations with strangers and acquaintances lamenting the rainy weather. But really, the rain hasn’t really bothered me much. Why? Because I have a roof over my head. Because I have (more than) adequate shelter to protect me from the elements. I’m not saying this to be all “lecture-y” because really, I have to give my darling husband credit for this thought. He brought it up the other day. When I mentioned the EOR blog, he said something along the lines of, “How’s the brick project going? Think of those children in weather like this.” And he’s absolutely right. While I, for one, have been spending my rainy days dry and warm inside, the orphaned children in the Shanto region of Ethiopia spend their rainy days in an “open-air” classroom (translation: no roof). The Ethiopian “rainy season” is coming very soon. Please think about this today … tomorrow … or the next time you look out the window and see the rain. Please, if you can, help put a roof over their heads too!. Sometimes, it’s hard to make the connection between the money we raise for projects, and the people who are helped by it. Other times, the reason behind the work that we do becomes crystal clear. Desalegn, the director of FOVC, sent this update earlier this week. very well to you all there. construction for the children who came from dusty streets in Shanto. everything which you are doing for FOVC!!! With many thanks to EOR, FOVC has provided 114 chickens and roasters to the 57 children in order to help the children grow their own asset for future purpose. Culturally, the child who has parents is usually given small chickens and he should grow up the chickens for his future assets. If a child is provided with chickens he/she will grow the chicken to big and the off springs will be sold to buy small sheep or small goat. Then the goat will give birth to off springs and those off springs also will be sold to buy cow/oxen. That helps the child as his/her own asset in the future. Knowing that great cultural value we have provided to all FOVC children both male and female chickens. And our staff members are following up the well being of the chickens. We are also preparing the ground to raise the chickens in the FOVC compound to use the eggs and roasters for meals to children. You are helping to complete the big building that is currently under construction. The bricks you buy really do make a significant and instant impact for the children of FOVC. With the addition of 250 blocks given to Tesfa for his birthday yesterday, we can fund almost 3600 bricks for FOVC. This is a really fine number, and yet, I know we can add more! Most of these bricks have been birthday gifts to me, to Noah, or to Tesfa. If you haven’t given, now’s your chance. Bar Mitzvah gift, loose change, single donation for $50,000~~EOR can use it all. Please consider adding to my lovely LEGO wall, and more importantly, to the real walls that will shelter real kids in Ethiopia. I have bricks to give to FOVC! If, like me, you love to redecorate and remodel, then this is the perfect fundraising campaign for you. Our partner, FOVC, is building from the ground up, largely thanks to YOUR support. Currently, this orphan care center and school meets in a large open-air plaza (you would probably think of it as a muddy yard). As lovely as an open-air classroom sounds, I love the idea of a remodel for these great people. Initial disbursements from EOR have paid for new sanitation facilities and a few classrooms. By the end of this “Buy a Brick…” campaign, FOVC will be a lovely grouping of buildings designed as classrooms, dormitories, and activity rooms, with a yard used for play and laundry, not math class or lunch. I can’t tell you how excited I am to be part of this project. Desalegn ‘s plan for FOVC will provide for the orphans of FOVC as well as many of the people in the town of Shanto. From clean water to classrooms, to vocational training for widows, Desalegn and his staff are working hard for everyone in the area. As much as I’d like to hope that someone could write a check for $50,000.00 to pay for the remainder of this project, I’m a realist. 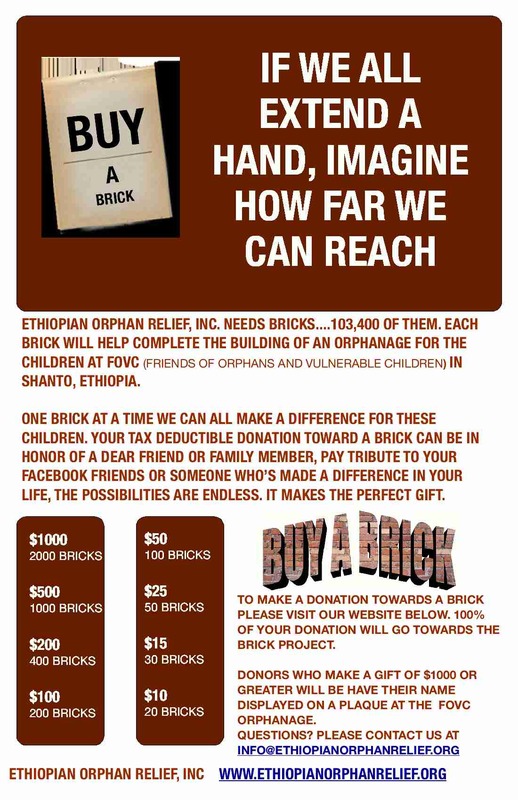 We need 100,000 bricks at 50 cents each, to complete this project. Every single one of us has the means to provide a brick. Many of us can pay for more than one. We welcome every donation, large and small. If you can’t imagine making a sizable donation right now, why not search the house for loose change, and send us a check? Maybe you could sell an unwanted item on Craigslist or organize a penny drive at your synagogue or child’s school? Maybe, you could give the gift of bricks for a birthday or Mother’s Day? Kim made the most-amazing cards to send to people honored by your gift–we’ll rush them right out to anyone you’d like to honor. We’ll be tracking the campaign with a series of LEGO pictures. 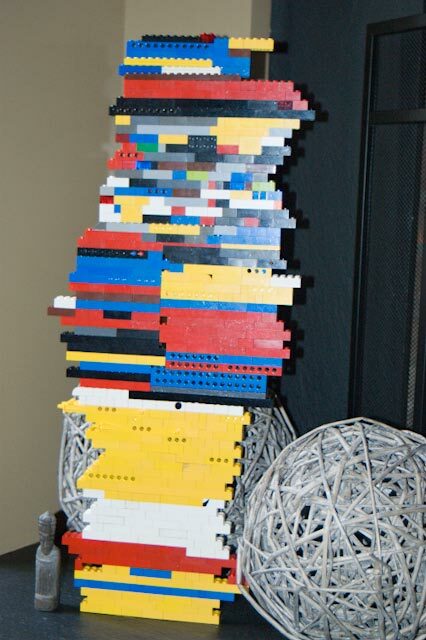 Each pip on a LEGO brick represents a real brick being placed in a real wall in Shanto Ethiopia. I can’t wait to run out of LEGO (and really, we have scads) while marking the progress! A big self-congratulatory celebration for EOR! 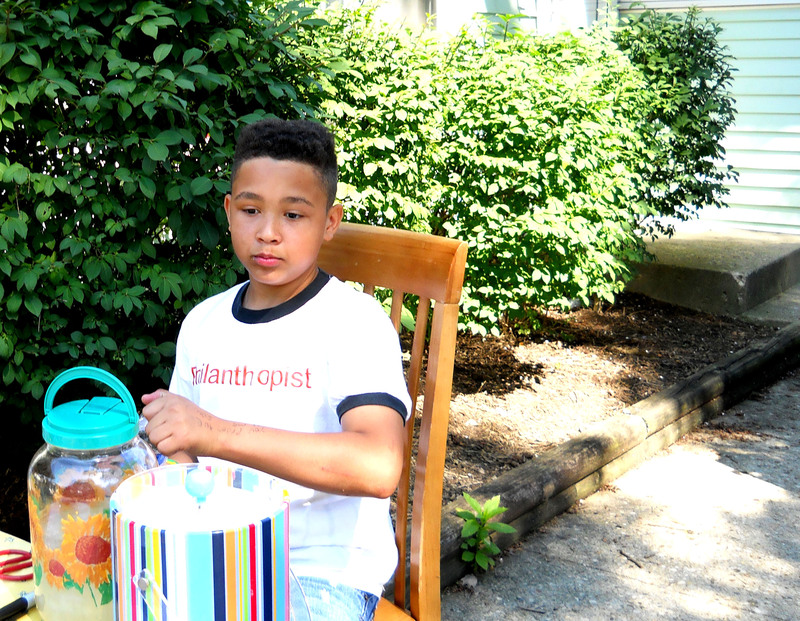 Amharic Kids held a contest via facebook, asking friends of Amharic Kids to share information about their favorite Ethiopian non-profit organizations. I am pleased to say that Ethiopian Orphan Relief was selected as one of two to receive a very generous $150.00 gift. 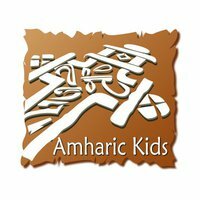 Amharic Kids is a terrific online shop selling a variety of items from and pertaining to Ethiopia and Ethiopian culture. My family owns the Amharic color and number beanbags (among other products from AK) and I can attest, they are played with daily. Lots of other great products too, I love to shop there! Thanks you so much Staci for providing beautiful products, and for the generous prize. We are SO pleased you are part of this community. Here’s the latest thermometer for our annual campaign. As you can see, we’re 95% of the way to meeting our goal. With two days left, will you make a donation for clean water, or medical supplies? Will you add your 10.00 to feed an orphan for 12 days? No contribution is too small. Please donate today. Thanks to all of YOU who have made this campaign a success!